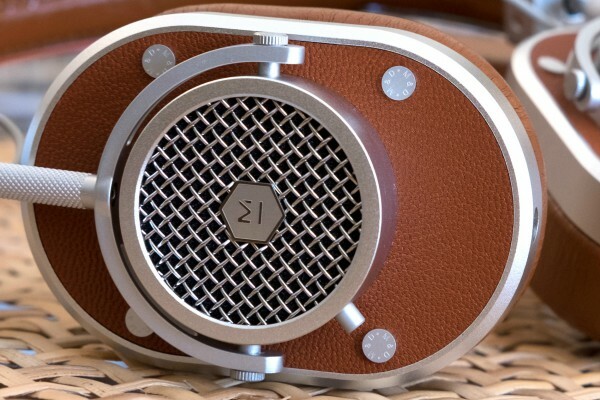 Newcomer is the only way to describe Master & Dynamic, which on Dec. 31, 2015 completed its first full year of revenue. Young or not, its audio gear is vintage and refined. Wanna see? You can find the MH40 headphones, which look like something World War II bomber pilots would wear, inside any Apple Store. Distribution partnership of that caliber from a near start-up says much about M&D earphones and headphones—design, price, and sound. The signature sound is full, which is atypical in a market where booming bass ranks among headphone buyers’ top priorities. But for those listeners who delight in the faintest tap of the symbol, warmest treble, and deep lows that reveal details rather than thump, thump, Master & Dynamic delivers. For Christmas I bought the company’s MW60 wireless headphones, which I will review soon. Today's topic is the MH40, which are wired. Both cans share obvious design heritage, and you could easily mistake one for the other. There are also many audio similarities, where both present rich range rather than pumping bass. I am super picky about headphones. The $549 MW60 are the best wireless cans ever to touch my ears. The MH40 are best-of-class in the price range—$399. So I am surprised to hear CEO and founder Jonathan Levine’s startling confession: "I have no prior professional connection to music or audio". He’s not a music producer, audio engineer, or anything close to either. At age 16, Levine’s oldest son started learning how to produce music and later to teach others how to deejay. So the dad put together a makeshift music studio. “I’ve had music studios in my businesses for years”. At 53, Levine stands at the generational divide from Millennials, which gap the home studios and audio company help bridge. About his two sons, Levine says: “They won’t admit it, but they think I’m slightly cool now”. Levine’s inexperience proved to be an asset and testimony to the concept that fresh ideas come from people with little or no preconceptions. What’s that stereotype about hiring someone who hasn’t developed bad habits, or in this case hires oneself? In developing the first headphones, Levine wanted to “build something that is iconic and will last”. He chose forged aluminum and leather as the principle materials. only to learn from M&D chief engineer Drew Stone Briggs, after developing the MH40, that aluminum has unique audio characteristics that are beneficial to producing pure sound. Levine then intuitively chose brass for the ME05 earphones. Think of all the musical instruments, like my middle school trumpet, that are made of brass. I ask Levine how he chose Master & Dynamic, to which he asks: “Have you ever tried to name a company?” I have, and pretty much every good name is claimed. Being iconic is nomenclature, too—using a multiple name, Many grand old brands are such, he says, like A&M records, Arm & Hammer, Black & Decker, Johnson & Johnson, and Proctor & Gamble. The name derives from several concepts. “In music there is dynamic mastering” Levine explains. “We love to engage with the masters in any endeavor. And we like to engage the up-and-coming dynamics in that particular field". Soundstage is how instruments are spatially placed in audio recordings. The MH40 present dynamic soundstage, such that you often can visually place the instruments and singers, and even feel like you are in the room with them. 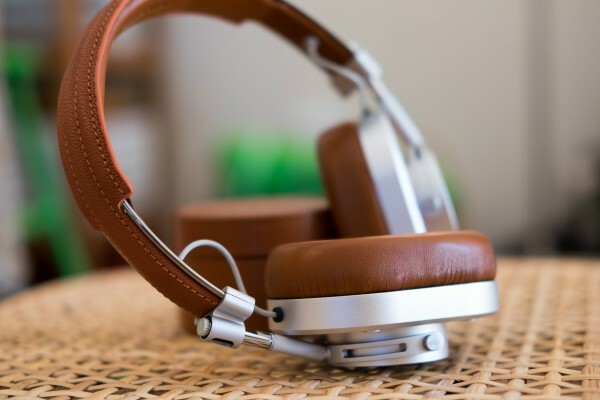 Active noise-cancellation uses microphones to capture and largely eliminate ambient, background noise. The MH40 use passive noise-cancellation by way of the closed-ear design. This approach gives purer, more balanced audio than does the active type. Over-ear headphones typically cover the ear, making a soft seal that improves the aural experience while blocking out most background noise. Many people find this style to be the most comfortable to wear, particularly for long periods of time. The MH40 are this type. Impedance is a value you need to worry about. We'll skip the science and get to practical matters: If you're buying cans to listen to portable devices, like smartphones or PCs, you want lower impedance; I find 32 ohm to be just right. If impedance is too high, you won't jack enough volume to your headphones without aid of an amplifier. For stereo systems you want higher impedance, upwards of 600 ohm. The MH40 are designed to be used with portable devices like iPhones, iPods, or laptops. Frequency response typically ranges from 20 to 20,000 Hz, with bass and treble at both ends, respectively. The extremes exceed normal human hearing range, but not necessarily perception: Below 20 Hz, the listener may more feel the bass than hear it. Transducer creates the sound, and there are typically three types: Dynamic (most common); Orthodynamic; and Electrostatic. Think little speakers. See Headfonics' explanation for more. As the newcomer in a crowded consumer category, where nearly two decades of digital compression and thumping bass define listening tastes, Master & Dynamic risked everything on audio balance and detail. The signature sound is distinctive and refreshing, but I emphasize this: You like the M&D sound, or you don't—and it's unquestionably not for everyone. But the sound should be for everyone. If you put on the MH40 and don't like the presentation, use them for a week listening to CD, lossless digital, or vinyl. Then go back to your old cans and MP3s. The difference how quickly your tastes can change and ears be liberated from muddy, lows-blown compression may shock you. "We purposely stayed away from the sound profiles found in other leading headphones and chose to develop our own genre neutral sound; something we are very proud of", Levine says. "We didn’t tune with a computer; we tuned with our ears based on the music we love". Authentic and immersive best describes the audio signature of the striking, retro-styled MH40. Soundstage is present—like you're there in the room with the musicians. Tonal range is balanced, presenting fine details. The lows ride the mids and highs, without being overbearing. Meaning: Your ears won't easily fatigue, which is an ailment not uncommon when the lows are too dominating. While I suggest that some people will need to retune their ears, listeners who immediately like the M&D sound will be amazed by how good listening to compressed AAC and MP3 tracks can be. They are reborn—echoes of their former muddied selves, fresh and vital with renewed dimension. Whatever processing magic Master & Dynamic sprinkles into these cans, seemingly any sound source benefits. Impedance is 32 ohm, which means even iPhone or iPod should pump out plenty of volume. I tested on several devices, including: Apple iPhone 6s and 13-inch MacBook Pro Retina; Google Chromebook Pixel LS, Nexus 6P, and Pixel C tablet. I got great output from all without cranking the volume up to the max, or anywhere near it. I primarily tested by streaming music in the 1411kbps Free Lossless Audio Codec from Tidal. The MH40 driver is huge—45 mm—with Neodymium transducer. Frequency response—same as the MW60 (5Hz to 25kHz)—punches up the midrange, which balances well against the lows and highs. To repeat: Bass isn't overbearing but is present and clear rather than muddled. The MH40 design is unmistakable, evoking strength and longevity—heirloom to bequeath to children or grandkids; cans that last a lifetime or more. Aluminum, lambskin, leather, and stainless steel combine in rugged style that evokes aviators of a bygone era. Wearing the headphones makes me feel, even for scant seconds, like the radio operator on an Air Force bomber. The design is both nostalgic and modern. While looking and feeling rugged, the MH40 are surprisingly light (360 grams) and balanced to hold or to wear. The lambskin-covered memory foam cushions are immensely comfortable and they minimize sound leakage while blocking all but the loudest ambient background noise. This kind of passive noise-cancellation maintains the purity and authenticity of the sound. Seven color-combinations are available, again for $399: silver metal and brown leather; gunmetal and black leather; silver metal and navy leather; black metal and navy leather; black metal and black leather; silver metal and white leather; gunmetal and black alcantara. I mentioned at the start, the Apple Store sells the MH40, and Master & Dynamic dishes out iOS favoritism. There are two woven cables—one with mic and volume keys for use with Apple devices and another lacking controls for everything else. Android users can certainly connect the MH40 to their phones and listen, but on-cable mic and controls aren't available to them. In what might at first be a confusing attribute, each earcup has an audio jack. That's one for you and another for someone else. Confusion comes from this: Sharing is from the Right jack. The MH40 can daisy-chain along devices. Let someone else jack in and listen, too. It's a nifty feature that again shows the advantages of someone without audio device preconceptions founding the company and bringing the input of teenage boys with him. Another nicety, but nowhere as clever as the two jacks: Mute button on the Right earcup. One more: The earpads magnetically attach/detach. 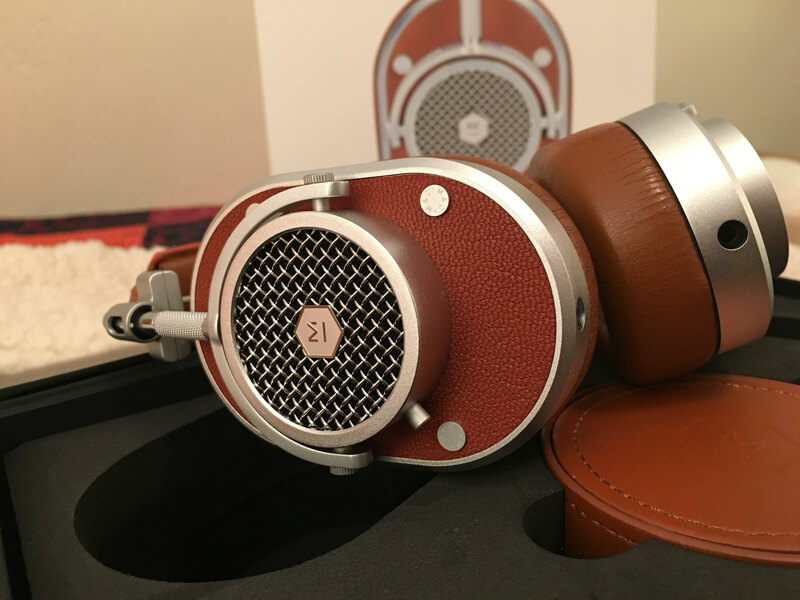 Wrapping up, the MH40 offer great style and sound for the price. 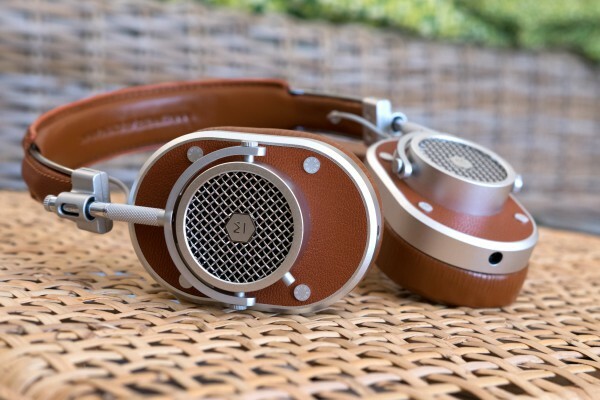 Audiophiles should love them. Bassaholics probably will not. They should buy Beats, or something like them, instead. They also could boost bass using their music app's graphic equalizer. Remember: Music listening is a subjective experience. To what sound you are accustomed and to what genre you prefer matters much. The MH40 can give great Rap or Hip Hop but you may find warmth given The Beatles will satisfy more. To my ears, punchier mids and subdued lows open a broader range of genres—from classical to electronic, folk to punk, jazz to metal, and more.